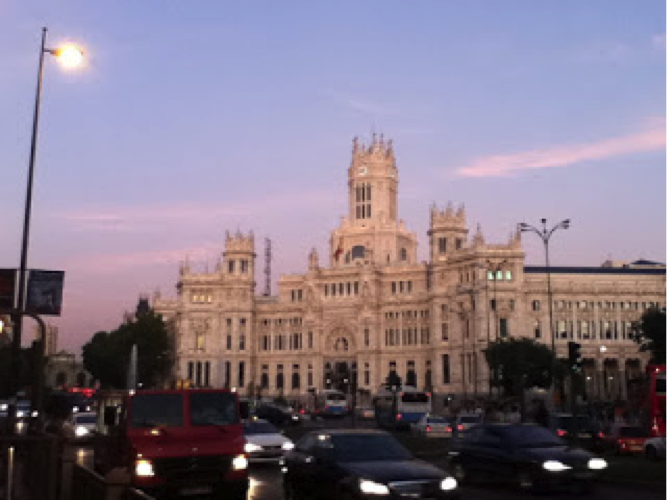 Madrid! What a beautiful and bustling city. 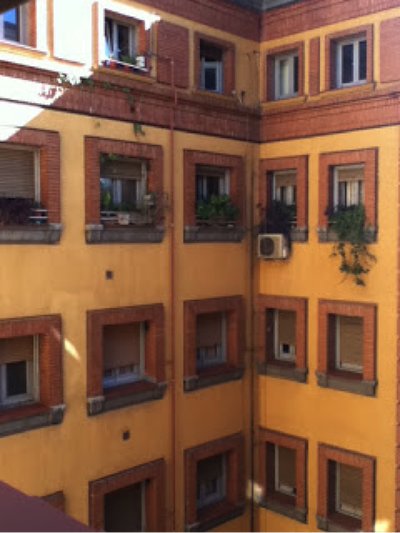 On my first day in Spain, I took a flight from Gatwick early in the morning, arriving in Madrid mid-afternoon to find my hostel. I stayed in a hostel close to el Plaza del Sol, which is the geographical center of Spain. As you could imagine, it is a quite bustling area! After arriving I set down my bags and set off to explore the city. In that first day I spent quite a bit of time exploring Gran Vía, the Prado, and el Parque de Buen Retiro, getting my bearings in the city and practicing my Spanish. The next morning I set off to open a Spanish bank account, which was quite the process. This was a great opportunity to practice my banking terminology. 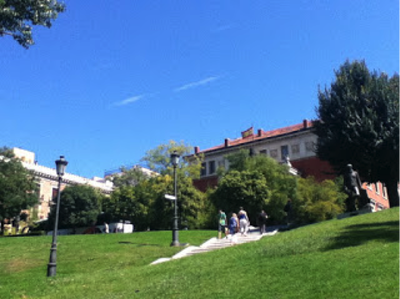 My next stop that morning was to visit my placement school in Leganés, a short fifteen minute metro ride from the center of Madrid. I arrived to El Instituto María Zambrano without an appointment, wanting simply to see the school to figure out logistically where I should begin in my apartment search. I hadn't expected to be greeted so heartily by the school’s wonderful staff! Once the teachers at my school found out I had stopped by, they all gathered to say hi and meet me, their new co-teacher. The welcoming reception was just what I needed, after arriving in this new city on my own. 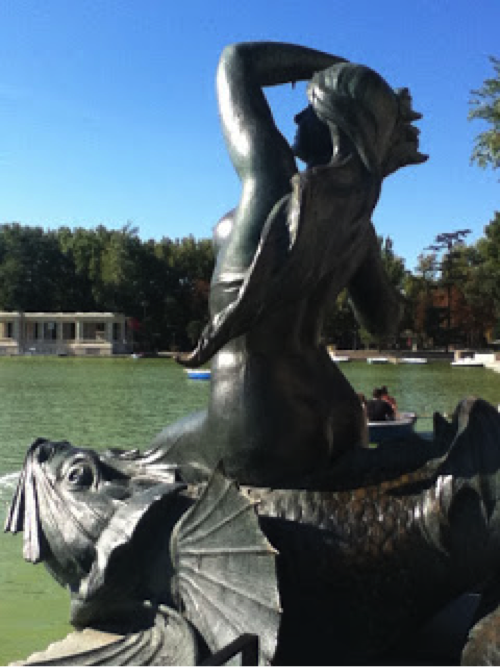 One teacher had an invaluable piece of advice for me, saying I should live in “Barrio Atocha”, a neighborhood in Madrid, which was close to the center of the city, the park Buen Retiro, el Prado, and the metro line to my school. So I started my search that afternoon! 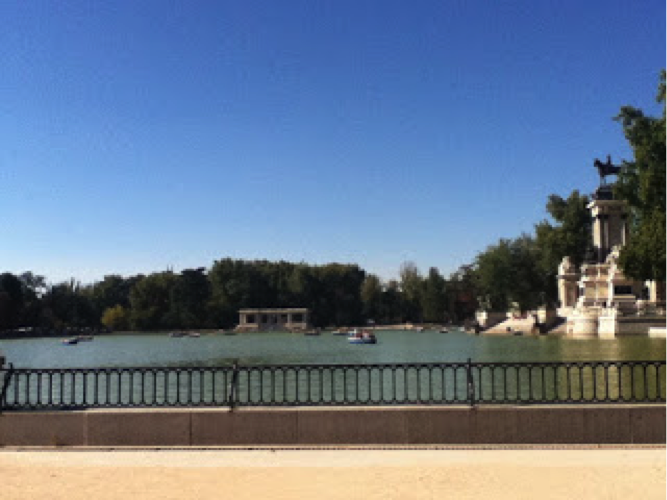 I found a room in a beautiful apartment in Atocha, 1 minute away from the Buen Retiro and very close to my metro line. One of my favorite parts about the location was that I was close to the park. 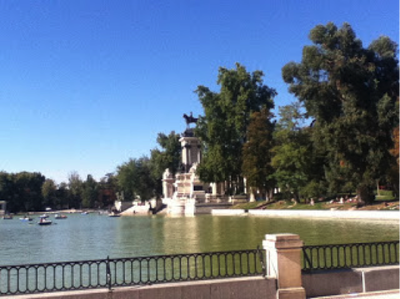 In Madrid it felt a bit awkward to run through the streets of the city, as I was used to doing in Oregon, and it did seem that less people were running for exercise on the streets in Madrid than on the streets of Portland. However, when I would run in the park Buen Retiro, I felt right at home! 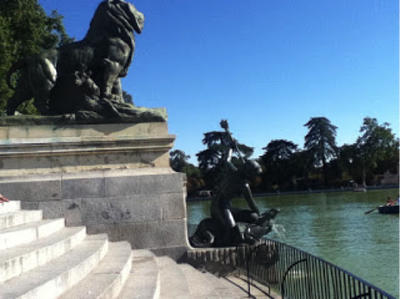 Buen Retiro is a very large park with tons of paths and trees, and many people, men and women, can be found running there. It was very grounding for me to run in the park every morning before work, and helped me to feel that I was able to bring a bit of my Oregon routine with me to Madrid. 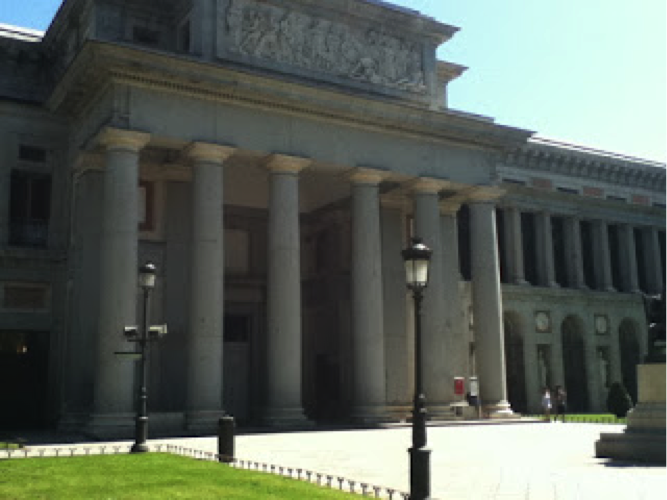 Once I was all settled in to my new apartment, I took some time to visit el Prado, the large art museum near my apartment. Housed inside el Prado, one can find famous paintings such as Las Meninas by Velazquez, and many emotive paintings by Goya. There are collections of Raphael, Ruebens, Caravaggio, and so many paintings that I had studied over the years in my Spanish courses. It was great to find out that the museum is free every night, and on Sundays, making repeat visits easy. Later that week, one of the teachers from María Zambrano invited me over for lunch with him and his husband. The food was delicious and it was wonderful to be able to relax in an established Spanish home in the center of Madrid. With only the first week under my belt, the results were inspiring!